Former PM compares Netanyahu to Ceausescu. Likud fires back: Barak is delusional. Former Prime Minister Ehud Barak on Sunday compared Prime Minister Binyamin Netanyahu to Romanian dictator Ceausescu. "Netanyahu is dragging the state into ruin and into the sunset using an extremist, messianic and racist minority. He is betraying the people he needs to serve,” charged Barak. "Netanyahu is Ceausescu. Those who brought him up are the ones who will take him down. We need to create a new vision, a true vision in the face of the false messiahs. We have to fight for our home," Barak charged. The Likud party fired back later on Sunday. "From day to day Ehud Barak turns out to be more hallucinatory and delusional. His remarks against Prime Minister Netanyahu are incitement to murder. Barak has simply lost it,” said the Likud. 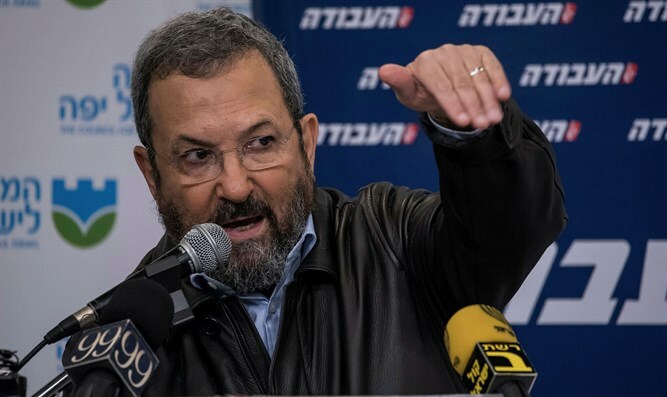 Barak, who in 2011 split the Labor party and formed the short-lived Independence party so he could continue to serve as Netanyahu's Defense Minister, has continuously attacked the Prime Minister in recent months. Among other things, Barak accused the government of leading towards a reality of one state with an Arab majority. In June, Barak implied in a tweet he was making a comparison between Netanyahu and his wife and French King Louis XVI and Queen Marie Antoinette. Barak removed the tweet in question within a few minutes, after it angered many users who attacked him for it. Netanyahu, however, later fired back and said that “it looks like Ehud Barak has lost it." Last month, he accused the Israeli government of following a fascist path, saying, "The government is distorting Zionism and Judaism, betraying democracy, attacking the foundations and institutions of Israeli democracy, and stabbing the Declaration of Independence in the back."